Offering you a complete choice of products which include opaque adhesive films. 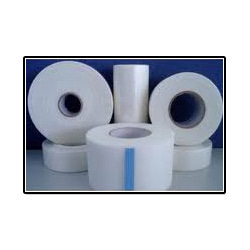 Our organization offers a wide collection of opaque self adhesive films. These products are perfect to be used in glossy finish surface applications. Our opaque opp and pet film have excellent print receptivness. We have a variety of opaque pvc film from 40 micron to 80 micron for various application in the glass industry. Looking for Opaque Self Adhesive Films ?